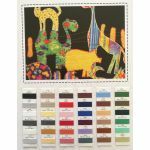 Usages: General machine sewing, Precision piecing, Foundation piecing, English Paper Piecing, stippling, general sewing, machine embroidery, top and bottom thread for quilting, button holes, digitized lace design, hidden stitches, bobbin thread. 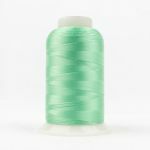 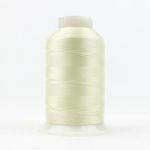 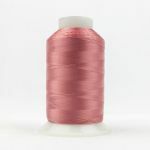 Because of its ultra light weight, this delicate but incredibly strong thread ensures stitching becomes less bulky and seams lay much flatter. 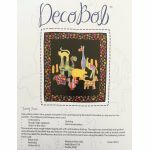 We prefer DecoBob especially for machine and hand piecing and EPP projects too! Wonderfil says: "Tired of bulky seams? Take a look at the difference between a 50wt thread vs WonderFil's 80wt DecoBob thread. Using a thread almost half the weight makes a huge impact on seam bulk. 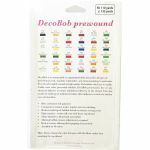 DecoBob also increases tension consistency as both a top thread and bobbin thread, and removes stiffness from your projects. 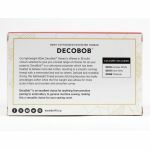 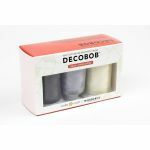 DecoBob is a cottonized polyester, which is a polyester thread treated to behave like cotton, so it does not stretch nor shrink, but will still has the strength of a polyester. We find a lot of people use DecoBob for piecing "
"When we describe some of WonderFil’s polyester threads such as DecoBob(80wt) or InvisaFil(100wt), we use the term “cottonized polyester”. 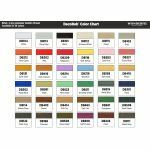 What this means is that they are manufactured in a way that the polyester behaves more like a cotton, meaning the stretch in the thread is eliminated and it gains a matte finish. Cottons are usually not recommended as fine threads because they lose their strength and break easily. 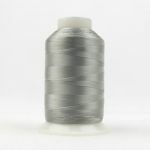 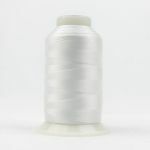 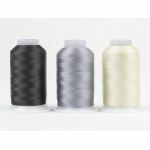 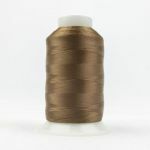 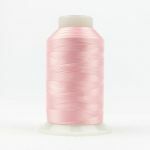 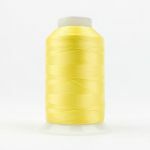 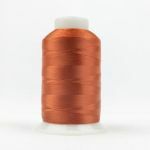 So by cottonizing DecoBob and InvisaFil threads, the result is a fine thread with the strength of a polyester and a matte finish similar to cotton"